From Houston, Texas, the 6’1″, 200 lbs Edwards’ was a 2-time All-District 24-4A and All-County selectionn and an honorable-mention All-State WR in high school. He spent one season at Blinn Junior College before committing to play college ball at the University of New Mexico. Edwards had a productive career for the Lobos on the field, making the switch to CB during his junior season. At CB, Edwards’ tied for 9th in the nation in fumble recoveries (3), returning one for a touchdown against UTSA for his first career defensive touchdown. He finished the season with 42 tackles, two sacks, four pass breakups and an interception. In total, he finished his Lobos career with 65 tackles and 3 interceptions while on the defensive side of the ball. Edwards’ displayed ideal size and length for the CB position, and has great hands due to his WR days. 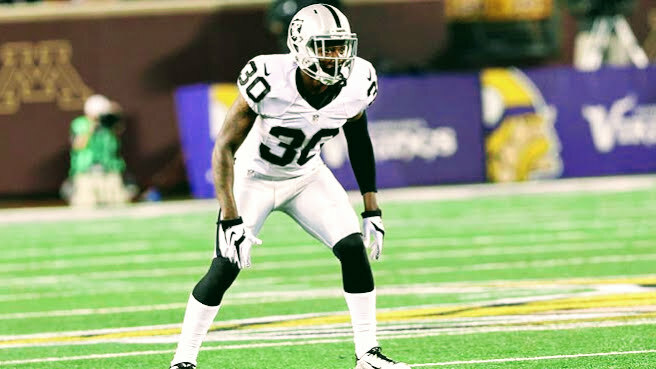 Edwards went undrafted in 2015, but quickly latched on with the Oakland Raiders, where he earned a spot on their practice squad. At just 25 years old, Edwards will bring his elite size and speed at the CB position to The Spring League in 2018.